Hulon Willis is important to the foundation of the Phoenix Karatedo Association as he began the ryu that would eventually lead to the founding of the Phoenix Karatedo Association some twenty-six years later. He left two introductory kata, Punching and Twelve Step, that continue to be cornerstones in the Association's Kata System. He is credited with founding karate in the southern tri-city area of Virginia in the early 1960's. A highly regarded and respected instructor, administrator and prominent tournament official, he is considered a pioneer in the history of Virginia karate. He traveled throughout Virginia and the United States training and advocating the benefits of karate. He developed and organized karate throughout Virginia and served until his death as a senior master and mentor to karate students. He founded the Southside Virginia Police Karate Association in 1964 and from his Petersburg headquarters oversaw dojo in the surrounding cities of Richmond, Colonial Heights and Hopewell. He served under Robert Trias as a Regional Director of the United States Karate Association and was named a member of the Trias International Society. 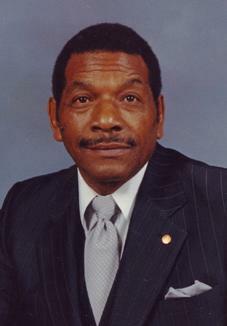 Willis instructed karateka at Virginia State University where he served for almost thirty-five years as an Assistant Professor of Health, Physical Education, athletic coach (wrestling and football) and Director of Campus Police and Security. He developed and instructed the Defensive Tactics and Weaponless Control Program for the Virginia State Police and Virginia Criminal Justice Services. He taught the program to law enforcement instructors around the country. Willis was a strong advocate of social justice and used his influence in the karate world to promote his peaceful views. He began studying karate under an instructor named Leemon Borden and soon after adopted the powerful karate of Mas Oyama. There is evidence to indicate that he was named Branch Chief (Virginia) by Mas Oyama on September 12, 1966. He started his study of the Kyokushin style through the United States Armed Forces Karate Program in 1962. Willis was a dedicated taskmaster who emphasized physical training and adherence to the virtues of karate. He remained involved in karate throughout his life. Born in Pittsburgh, Pennsylvania, USA, Willis held academic degrees from Virginia State University and The College of William and Mary, where he held the distinction of being the first black to attend the college. A holder of numerous honors, awards, recognitions and achievements, Willis died after a battle against leukemia. Many of Williss students remain active in the karate world. One of his early students, Raymond Elmore, serves as the Chairman of the Phoenix Karatedo Association.